Taking care of the environment today is one of the most paramount concerns for the generations of tomorrow. Technology and innovation allow us to learn more about our environment so that we can better protect it for future generations by assisting us in environmental cleanup processes. Design and engineering firms as well as other environmental professionals use a number of technologies to clean up polluted sites, a process known as environmental remediation. Remediation efforts can range from large, expensive projects such as the BP oil spill in 2010, to smaller, less costly projects, such as cleaning up a highway accident in which oil, asphalt, or other contaminant is spilled. Based on this wide range of projects, individual spills can present their own technical issues based on factors such as size, site, required remediation, specific chemicals, and contaminants. Many of these issues involve creative solutions and innovative approaches to problem solving. Bioremediation, for example, which involves breaking down contaminants through biological processes, is one of the most active areas of research and development. Properly cleaning up a contamination site often requires a technical solution. Federal and state R&D tax credits are available for design and engineering firms as well as other experts, companies, and organizations innovating to in the environmental remediation sector. Environmental remediation is the removal of pollution or contaminants from environmental media such as soil, groundwater, sediment or surface water. Pollution and contamination needs to be removed from the soil in order to protect human health as well as the environment. Most cleanup sites fall under federal regulations and are overseen by the Environmental Protection Agency (EPA). A recent court case provided a favorable ruling for consulting and engineering firms who provide environmental remediation services. In Geosyntec Consultants Inc. v. United States, 776 F.3d 1330 (Eleventh. Cir. 2015), Geosyntec Consultants Inc., the well known consulting and engineering firm sought a federal income tax refund of over $1.6 million in R&D tax credits for a number of projects it had completed between 2002 and 2005. One such project involved the design and expansion of a landfill and providing support services during construction. 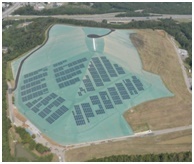 The goal was to increase the capacity of the landfill within its existing footprint. The landfill sat on a soft foundation, which limited its capacity for vertical expansion, but a previously-commissioned composite stability analysis of the landfill demonstrated that expansion was possible. (1) site studies; (2) design work, including site design; (3) general services, including permit applications and construction drawings; (4) preparation of an operation and maintenance manual; (5) construction-related services, including on-site supervision and quality assurance monitoring; (6) post-construction services, including as-built drawings and a project completion report; and (7) additional analyses, modeling, and testing. Another project involved the evaluation of a system for remediating contaminated groundwater beneath a warehouse site previously used to manufacture and store weapons and radioactive material. The R&D activity, although eventually considered funded by a third party, involved: (1) performing laboratory bench tests to evaluate the feasibility and performance of enhanced in situ bioremediation (EISB) for groundwater cleanup and (2) preparation of a report describing its methodology, tabulating the results, interpreting the data collected, and discussing site conditions and potential pilot-test designs. Additional examples of common R&D activity in the industry are discussed below. Prior to beginning a remediation project, the site in question must be assessed to ascertain what types of contaminants are involved and to determine the most appropriate technologies for clean up. Assessments must be made to identify any potential hazards to the workers who will be working on the project and to assess the impact that pollution might have on the local community, as well as its overall environmental impact. Environmental engineers typically will conduct testing to determine the extent of pollution on the property. Common tests include groundwater testing, subsurface soil assessment, sediment testing, and assessment of pathways of contaminants in soil and groundwater. A successful treatment design for any given project requires a clear understanding of specific site conditions and available treatment solutions. Determining whether a cleanup project would be beneficial for any given region is a research project in itself. Part of the challenge is determining which methods for cleanup are most beneficial. One example is the cleanup of the Gowanus Canal in Brooklyn. The $500 million plan by the EPA has run into protests from otherwise environmentally conscious residents in several Brooklyn neighborhoods. Residents believe the canal should be purged of pollutants like Polychlorinated Biphenyls (PCBs), lead, mercury and raw sewage, but are fighting the methods the agency has chosen to accomplish this. One neighborhood fears that the sludge taken out from the canal would poison the air over their ball fields, and others worry that the location of a sewage-processing site needed for the cleanup would destroy a popular public swimming pool. The selection of the most effective remedial design is critical to the success of any project. Design and engineering firms offer cutting edge analysis and feasibility studies of various remedial actions and their effectiveness on any given site and the surrounding environment. The latest software programs use site data inputs to create accurate simulations of the effect of any given treatment option available. These and similar activities are often R&D tax credit eligible. The main advantage of in situ or on-site treatment is that it allows soil to be treated without being excavated and transported, resulting in potentially significant cost savings. There are many different types of in situ treatment techniques. These categories generally include biological, physical, thermal, and chemical treatment methods. Air sparging, also referred to as in situ air stripping, is a technology that involves the injection of air into the subsurface saturated zone and venting through the unsaturated zone to remove subsurface contaminants. During air sparging, air bubbles disperse horizontally and vertically through the saturated and unsaturated zones, creating an underground process that removes contaminants by enabling the transfer of hydrocarbons from a dissolved or adsorbed state to a vapor phase. Adding specialized microbes to the environment to degrade pollutants. Ex situ remediation is the process of treating polluted soil after it has been removed from the contaminated site. Here, the contaminated media is first excavated or extracted and then moved to the process location for treatment. This is the more conventional method for cleanup and was very predominant from the 1970’s through 1990’s. Many of the same techniques that are used with in situ treatment are also common to ex situ treatment. The main advantage of ex situ treatments is that they generally require shorter time periods, and there is more certainty about the uniformity of treatment because of the ability to screen, homogenize, and continuously mix the contaminated media. Still, many ex situ treatment options involve creative and technical solutions which are often R&D credit eligible activities. Biological treatment is a process whereby contaminants in soil, sediments, sludge or groundwater are transformed or degraded into carbon dioxide, water, fatty acids and biomass, through the action of microbial metabolism. Thermal ex situ treatment processes use heat to separate, destroy, or immobilize contaminants. Some innovative thermal treatment technologies as described by the EPA are discussed below. Ex situ thermal desorption involves the application of heat to excavated wastes to volatilize organic contaminants and water. Typically, a carrier gas or vacuum system transports the volatilized water and organics to a treatment system, such as a thermal oxidation or recovery unit. The thermal desorption processes can be categorized as either high-temperature thermal desorption (600 to 1,000ºF) or low-temperature thermal desorption (200 to 600ºF). Hot gas decontamination involves raising the temperature of contaminated solid material to 500ºF for a specified period of time. The gas effluent from the material is treated in an afterburner system to destroy all volatilized contaminants. This method permits the reuse or disposal of scrap as nonhazardous material. Plasma high-temperature recovery uses a thermal treatment process applied to solids and soils that purges contaminants as metal fumes and organic vapors. The vapors can be burned as fuel, and the metals can be recovered and recycled. Pyrolysis is defined as chemical decomposition by heat in the absence of oxygen. Pyrolysis typically occurs under pressure and at operating temperatures above 800ºF and the pyrolysis gases require further treatment. The target contaminant groups for pyrolysis are SVOCs and pesticides. The process is applicable for the separation of organics from refinery wastes, coal tar wastes, wood-treating wastes, creosote-contaminated soils, hydrocarbon-contaminated soils, radioactive and hazardous wastes, synthetic rubber processing wastes, and paint waste. Thermal off-gas treatment is one of several approaches that can be used to cleanse the off-gases generated from primary treatment technologies, such as air stripping and soil vapor extraction. In addition to the established thermal treatments, organic contaminants in gaseous form can be destroyed using innovative or emerging technologies, such as alkali bed reactors. Vitrification technology uses an electric current to melt contaminated soil at elevated temperatures (2,900 to 3,650ºF). Upon cooling, the vitrification product is a chemically stable, leach-resistant, glass and crystalline material similar to obsidian or basalt rock. The high temperature component of the process destroys or removes organic materials. Radionuclides and most heavy metals are retained within the vitrified product. Vitrification can be conducted in situ or ex situ. In August 2015, EPA workers inadvertently leaked about 3 million gallons of mustard wastewater, the remnants of an abandoned gold mine near Silverton, CO, into the Animus River. The contaminated water went downstream into the San Juan River and eventually into Lake Powell on the Utah/Arizona border. The mine water is toxic because it contains dissolved pyrite, or iron sulfide, sometimes referred to as fool's gold. The combination of iron sulfide, water, and oxygen results in the formation of sulfuric acid which has the potential to be quite dangerous. The EPA's emergency cleanup solution was a quick version of typical mine treatment and involved a creative solution. The agency excavated four holding ponds in order to detoxify the river water. Water in these ponds was then treated with caustic soda (sodium hydroxide) and lime (calcium oxide), which are very basic in pH. When water is basic in pH most metals will come out of the solution. The sludge left behind can essentially be stripped of water and disposed of. These types of creative solutions often involve technical uncertainty and are typically good candidates for the R&D tax credit. Researchers at the University of Michigan are developing a state-of-the-art technology for cleaning up oil with gravity instead of chemicals. They call it the “smart filter technology”. Essentially, a novel nano-material is used to strain oil from the water. It has properties that repel oil but attract water. To test the material, the team dipped postage stamps and small scraps of polyester in the solution, cured them with ultraviolet light and tested them in various oil and water mixtures and emulsions, including items such as mayonnaise. Amazingly, the material was able to separate out all of the different oil and water combinations with 99.9% efficiency. Technology being developed at the Massachusetts Institute of Technology (MIT) could provide cleanup crews with the ability to reuse oil even after it has contaminated waters. The new technique uses magnets to simply lift oil out of the water. Water repellent nano-particles are mixed with the contaminants so that they can be picked up by the magnets. The nano-particles are then removed and reused. Since the oil can be reused with this method, companies that cause spills may be more willing and able to absorb cleanup costs. Professor Mike Chung and his researchers at Penn State University were looking to develop a more effective removal, recovery, and cleanup from future oil spills. In response, they have developed a new technology for oil recovery and cleanup, referred to as PetroGel. This new PetroGel technology offers a unique combination of advantages over the existing oil absorbents. Some of these advantages include high oil-absorption capability, no water absorption, fast kinetics, easy recovery from the water’s surface, no waste in natural resources, and cost-effectiveness. These properties can transform an oil spill in an ocean into a soft, solid oil-containing gel. The oil-containing gel has the structural integrity to be collected and transported without difficulty. In addition, PetroGel has the potential to collect all the oil molecules in one spot and transform them into a product that can be processed back into usable oil, which can also be cost effective for companies cleaning up the spills. PetroGel has only been tested on a small scale, however, in partnership with the U.S. Department of Interior’s Bureau of Safety and Environmental Enforcement, Mike Chung and his team will be testing this out on a large scale in the Arctic Sea in the winter of 2015. They will be testing whether or not 250 pounds of PetroGel can absorb ten thousand pounds of Alaskan North Slope crude oil, accounting for wave size, water temperature, and ice. If successful, Chung will work with industry partners to mass produce PetroGel. This has tremendous potential to prevent shoreline pollution, save wildlife, and ensure a safe seafood supply. This technological innovation is an excellent example of the remarkable R&D developments being made in the U.S.
Environmental professionals, construction companies, and design and engineering firms use a number of technologies to clean up polluted sites. Many of the challenges associated with these projects involve creative solutions, technical uncertainty, and a process of experimentation. Federal and state research and development tax credits are available to help support and shoulder the costs of these efforts.